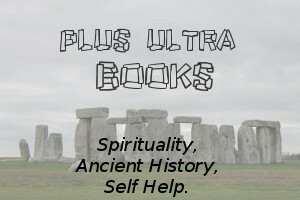 These titles, while not published by Plus Ultra Books, come with the highest recommendataion and endorsement of this brand, as a foundation-point for research into the ancient Catastrophe which decimated the previous supercivilization. This ground-breaking rcent work is one of the most up-to-date and incredible, on the idea of ancient catastrophe. Read in wonder as the intrepid narrator hunts the remnants of the 'Carolina Bays', even across now poigniant and quiet golf courses, hunting for the 'space debris' which will prove beyond a shadow of a doubt that the ancient catastrophe did in fact occur! He even picks up a 'lightweight' fragment of a comet which stuns geologists into silence! ISBN: 978-1591430612. An incredible exposition and demonstration of lateral thinking. This work demonstrates the failures of modern astronomy and cosmology and points out actual insights into the true nature of reality. An exploded planet three million years ago triggered human evolution from 'Lucy'? Comets and Asteroids are one and the same? Incredible insights into what 'gravity' actually is. ISBN: 978-1556432682.